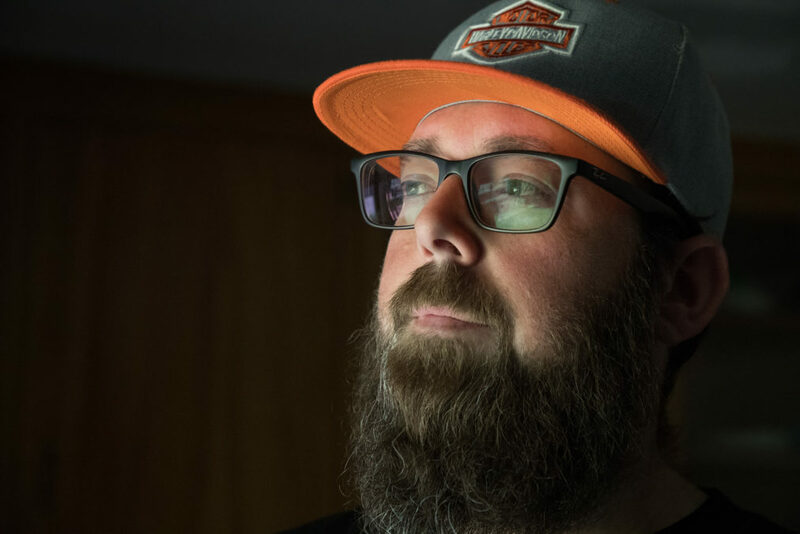 Andrew Driskell, 42, of Modesto, Calif., dislocated his knee in December while at Tesla’s Fremont factory. His injury didn’t appear in the company’s 2017 injury log until recently. Tesla Inc. recently added more names to its list of injured employees after Reveal from The Center for Investigative Reporting raised questions about whether the company was counting all of its work injuries, records show. The electric car company added 13 injuries from 2017 that had been missing when Tesla certified its legally mandated injury report earlier this year. Alaa Alkhafagi, for example, smashed his face and arm in the paint department last fall. He said he had been asked to perform a task for which he had no training. At the time of the injury, Tesla didn’t put Alkhafagi on official injury logs, even though the accident caused him to miss work. So it didn’t count toward Tesla’s 2017 injury rate, which the company later trumpeted as matching the auto industry average. Reveal wrote about Alkhafagi’s injury last month as part of its investigation of injury undercounting and safety problems at Tesla’s Fremont, California, factory. By late April, Tesla had added him to the 2017 logs, dating his injury Oct. 1 and noting that he missed three days of work because of it. Other recently added injuries include lacerations that made an employee miss more than 100 days of work, a dislocated knee for which a production associate remains out of work and various ergonomic injuries to the hand, wrist, back and shoulder. Still, Reveal found Tesla has yet to record all of the 2017 injuries it should have by law. And the company might not face a penalty for it. All work-related injuries that result in time away from work, job restrictions or medical treatment beyond first aid must be recorded within seven days of the employer learning of it. But a conservative interpretation of state and federal law prevents regulators from citing employers for failing to record injuries that are more than six months old. Some members of Congress would like to see that change. To Rep. Mark DeSaulnier, D-Calif., Tesla is a case in point. The legislation stalled in the Republican-controlled Congress, but California state legislators should take it up, DeSaulnier said. Tesla, meanwhile, should get an intensive “full facility audit,” he said. Tesla said it diligently tracks injuries and updates its logs whenever it receives new information showing an injury should be recorded. “This is a normal part of ensuring our records are accurate. In fact, this is precisely what OSHA regulations require that companies do,” the company said in a statement, referring to the federal Occupational Safety and Health Administration. Tesla employees requested a copy of the company’s injury logs in mid-March and another copy in April, after Reveal published its story and California’s workplace safety agency opened an investigation. Reveal obtained the logs and identified 13 injuries from 2017 that had been added between March and April. Nine are from December, still within the six-month window for California’s Division of Occupational Safety and Health, or Cal/OSHA, to take action. The additions raise Tesla’s 2017 injury rate to 6.3 injuries per 100 workers, just above the 2016 industry average of 6.2. Undercounting injuries is a widespread problem that makes it harder to prevent further harm to workers, occupational safety experts say. Accurate recording helps employers identify and fix hazards. After Reveal began raising questions about Tesla’s injury recording in March, the company added 13 injuries to its 2017 injury logs. This is a page from the logs as they appeared in mid-March. Click on the image to see more.Credit: Tesla Inc. This page is from Tesla’s 2017 logs as they appeared in late April, with newly added injuries highlighted in yellow. 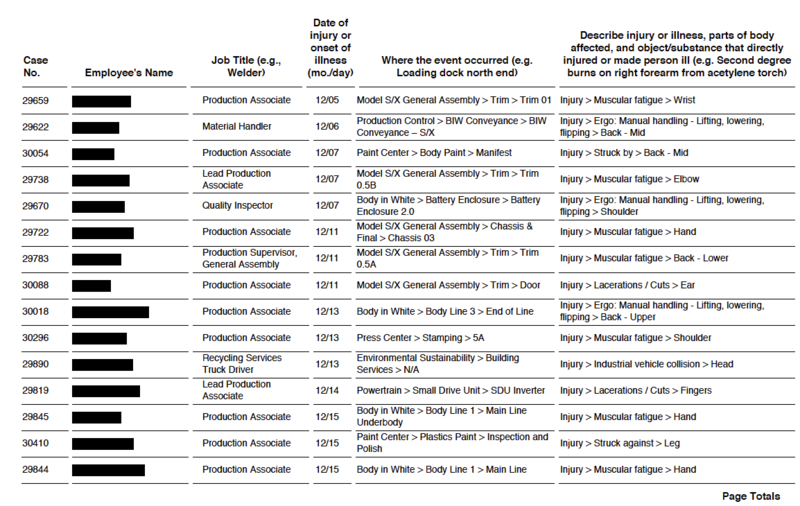 Employees requested the logs from Tesla, and Reveal compared them to identify changes. Click on the image to see more.Credit: Tesla Inc.
Cracking down on companies for undercounting historically has been an effective tool in improving workplace conditions, said Jordan Barab, a former deputy assistant secretary at OSHA under President Barack Obama. The 13 injuries were added recently, Tesla said, because they hadn’t been reported to Tesla earlier, the injury didn’t require medical treatment until this year or the company received new medical records or “other new information that had not previously been provided.” Tesla wouldn’t address specific cases. Andrew Driskell said none of those explanations would account for why his knee injury wasn’t recorded in December. Driskell was working the night shift Dec. 18, putting an interior door panel on a Model S luxury sedan. It was his first day on that task, and no one had shown him how to position his body for it, he said. As he stood up, Driskell’s foot got caught under the car as it moved down the assembly line, twisting his knee and dislocating his kneecap. His supervisor contacted security, and Tesla sent him to the emergency room, where he received pain medication and a hard leg brace, Driskell said. On Dec. 21, he visited Tesla’s in-house health center, where a nurse filled out a Tesla Workers’ Compensation Work Status Form, which stated that Driskell’s injury prevented him from returning to work, according to medical records reviewed by Reveal. He’s been out of work since, on workers’ compensation, waiting for knee surgery. The pain makes it hard to be on his feet for more than an hour at a time. 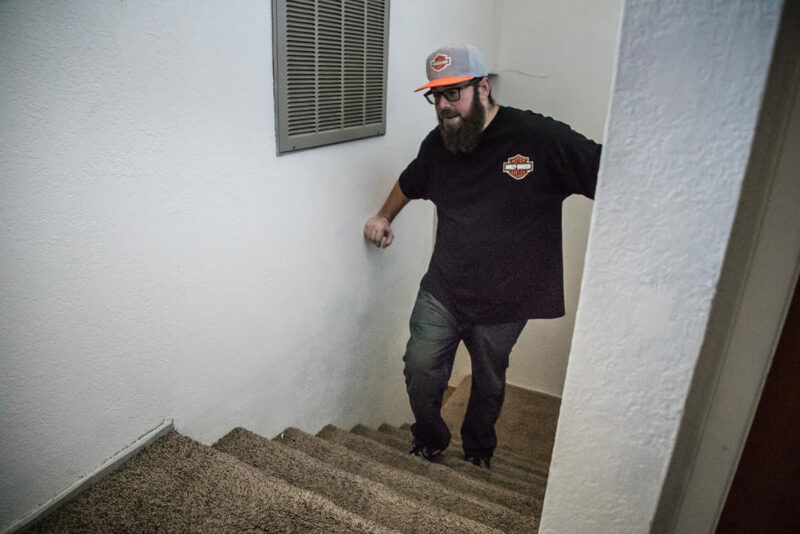 Driskell, a 42-year-old resident of Modesto, is anxious to get back to work. “I like building Teslas, I like the people I work with and I like the company I work for,” he said. 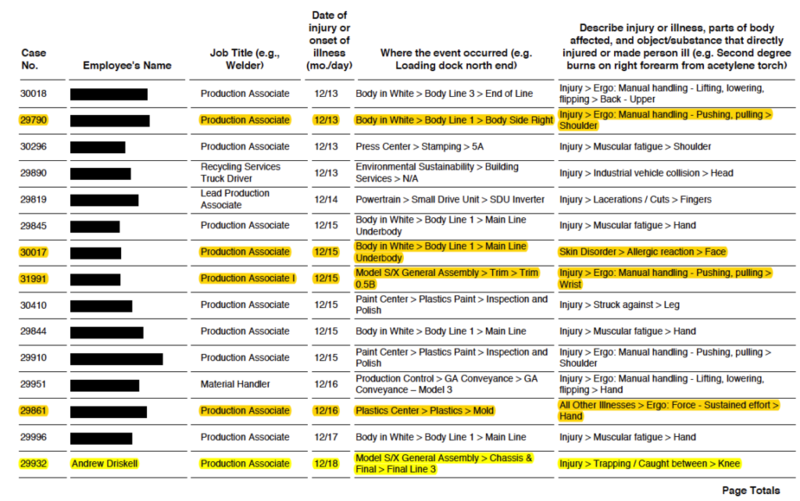 As of the April logs, Tesla hadn’t added any injuries from before September 2017, including ones that Reveal documented should have been recorded. Tarik Logan, for example, suffered an acute reaction to toxic glue fumes in April 2017. Tesla referred him to a doctor who, medical records show, diagnosed a work-related injury and prescribed painkillers for excruciating headaches. The diagnosis and medication meant Tesla should have recorded Logan’s injury, but the company had not done so as of last month. The company also failed to update its 2016 logs to add injuries such as Ali Khan’s repetitive strain injury, which also was backed up by medical records. But the agency says it can’t cite an employer more than six months after the injury should have been recorded. Here’s the problem: Regulators might not know right away that employers are omitting injuries, and government investigations can take months, leaving injuries they uncover outside the six-month window. For Tesla, for example, uncounted injuries from October 2017 and earlier already would be off-limits to regulators. David Michaels, former head of OSHA, agreed with DeSaulnier that reform is needed. It didn’t used to be that way. For decades, federal safety officials treated a failure to record injuries as a continuing violation, so the issue wouldn’t expire after six months. A 2012 federal appeals court decision struck that down. The U.S. Department of Labor under Obama responded by issuing a rule in 2016 to go back to the old interpretation and stronger enforcement. Congressional Republicans and President Donald Trump, urged on by business groups, repealed the Obama-era rule last year, reducing the time limit for citing employers to six months. In California, regulators also used to consider unrecorded injuries a continuing violation. But in 2016, California’s Occupational Safety and Health Appeals Board agreed with the federal court ruling, even though it wasn’t bound by it. The board ruled that Cal/OSHA can’t do anything after six months have passed from when an employer should have recorded an injury. Michaels also urged state lawmakers to act. “Failure to do that will undoubtedly lead to inaccurate injury logs and workers being injured,” he said. “Irrespective of federal actions, we will continue to be leaders in ensuring safe workplaces for all Californians,” Pan said in an email. In the meantime, Cal/OSHA still could cite Tesla for undercounting its annual summary of injuries, which employers must ensure is accurate and post in the workplace. Tesla’s 2017 form shows 722 injuries and was signed Jan. 31 by Peter Hochholdinger, vice president for production. Although he acknowledged sometimes errors must be fixed, Cohen said he found the number of recent changes by Tesla a little surprising. “It says they were less careful or attentive to the rules than they should have been,” said John Mendeloff, a public affairs professor at the University of Pittsburgh, who has studied workplace safety enforcement. 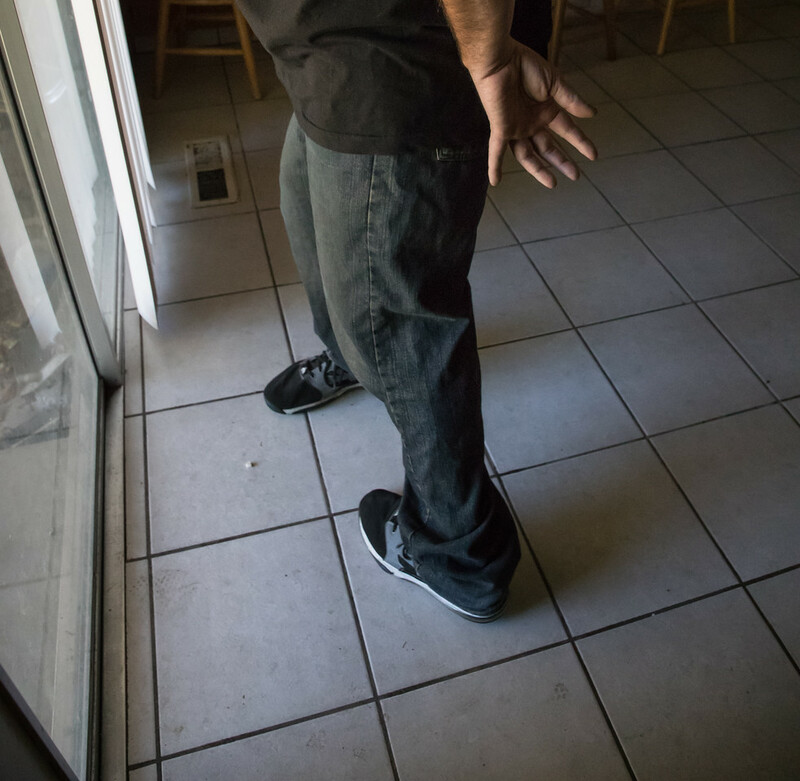 Garrett Brown, a former longtime Cal/OSHA compliance officer and special assistant to a former Cal/OSHA chief, said it shows a pattern of minimizing injuries and adding some back when under pressure. “It would clearly be a violation,” he said. After Reveal began raising questions about Tesla’s injury recording in March, the company added 13 injuries to its 2017 injury logs. This is a page from the logs as they appeared in mid-March. Click on the image to see more.Credit: Tesla Inc. This page is from Tesla’s 2017 logs as they appeared in late April, with newly added injuries highlighted in yellow. Employees requested the logs from Tesla, and Reveal compared them to identify changes. Click on the image to see more.Credit: Tesla Inc.